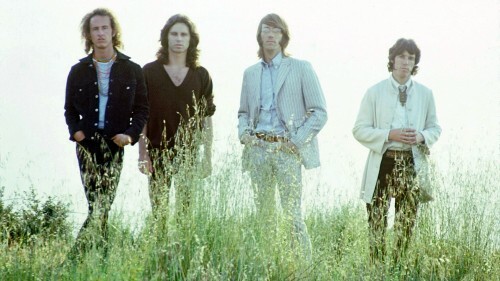 When the Doors went to number one with “Hello, I Love You,” many of their fans called them sellouts. Never mind they’d already gotten to number one with “Light My Fire” the year before; this time around, the thinking went, they were out to write a hit single and leave their darker stuff behind. More than half a century has passed since Jim Morrison wrote about that dusky jewel walking across the California beach sands, and while you can count the number of people who hum “Horse Latitudes” these days on the thumb of one hand, “Hello, I Love You” has maintained its status as a much-beloved classic of the sixties. The song’s expression of awe and devotion to a total stranger has caught the imagination of many other artists. Here’s how some of them expressed it. 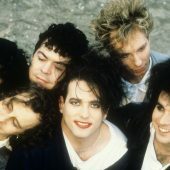 The Electra label’s self-salute Rubaiyat included the Cure doing a cover of “Hello, I Love You.” One reviewer called it a “dour romp,” but that doesn’t mean the Cure did a bad cover of it. They also did a version that squashed the song down to ten seconds. 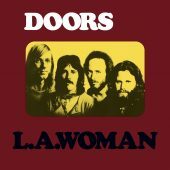 Robby Krieger, the Doors guitarist, is on record as denying that “Hello, I Love You” got its structure from the Kinks song “All Day And All Of The Night.” He is among the great minority; enough people saw the similarities that the Doors paid the Kinks royalties from the single’s release in Britain. The Delmonas’ cover of “Hello, I Love You” makes the similarity an explicit copy, and the song is all the more fun for it. From the album A Psych Tribute to the Doors comes the Dark Horses’ take on “Hello, I Love You.” Like the other bands on the album, they give their song a much trippier feel than the original, and they make it work. Is this a cover? 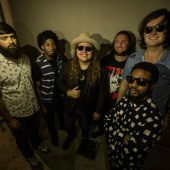 Technically, maybe not – Minimatic themselves call it a remix, and it uses Jim Morrison’s original vocals, albeit slowed down. But the music is wholly new, and the artist has changed “Hello, I Love You” into something the band never came up with, and by God it’s too good not to share. Oh, and as long as we’re talking about manipulated Doors songs, John Oswald’s plunderphonic version of “Hello, I Love You” absolutely deserves both a mention and a listen. The original “Hello, I Love You” can be found on Amazon. Very Nice! Sorry for the delayed enjoyment. Every version has some gratuitous significance to the original. Well done Cover Me! Great selection,can’t pick a fave. All have a strong vindication to the original, respectfully integrated with a significance to the foundation of the original. Very simple. Econic pacing… Timeless, as portrayed. Thank you.